Welcome back to another exciting day at SuiteWorld 2019! Today’s executive keynote followed the same trend as yesterday with the theme Unlocking Growth. The keynote started off with Jason Maynard, the Senior Vice President of Global Field Operations at NetSuite, discussing how NetSuite aims towards its true north, which is to help you grow. There are three main factors to helping a business grow. These are mission, strategy, and execution. The power of a mission is creating a sense of purpose. 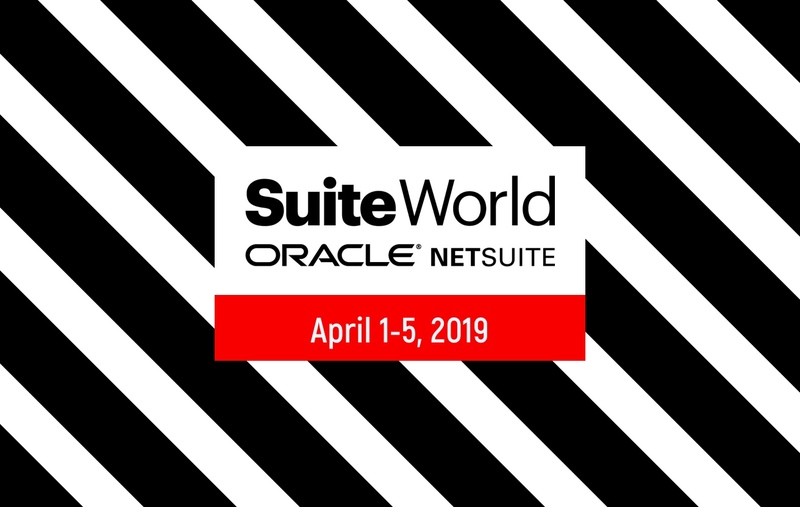 One way that NetSuite helps to support your mission is through Grow Wire. This is a place to share growth stories through articles, tv shows, and podcasts. Over the past year, they have published over 100 articles, 13 episodes of their TV show, and 24 podcast episodes. These all provide you with tips to help you grow through real stories. The second factor, strategy, is the plan of action designed to achieve a goal. This is accomplished by properly allocating resources through modeling and measurements. Most modeling plans are generic and disconnected. NetSuite is working to help with this by removing impediments to planning, using a plan that is industry specific, unified, and tailored. To emphasize this, Keoki Andrus, with LogMeIn was brought up on stage. LogMeIn is a communication technology. With the help of NetSuite, they can now focus on moving forward with good choices instead of making guesses. Next on the stage was Brian McClain, the Chief Financial Officer at LOUDAudio, to help discuss the final factor in growth, execution. LOUDAudio was recently acquired by a private equity firm and went through some major changes. The infrastructure of the company was 16 years old and they had to replace their systems. This is how they got involved with NetSuite. Now that they have replaced their systems and integrated the US systems with their systems in China, they can focus on executing their growth through launching new products and maybe even acquiring other companies that align with their strategy. To even further show how NetSuite is working towards helping your company grow, Megan Biner and Fritz Nelson from NetSuite came up on stage to introduce Brainyard. Through research, benchmarking and performance this tool provides free content accessible to everyone. The content was gathered with data from over 16,000 NetSuite customers. You can look on here and see how the top 25 companies performed on a certain metric (ex: day sales outstanding), compared with how the average company performs on that same metric, as well as where you fall on the scale. This is helpful in showing you how your company can improve. Finally, the moment everyone had been waiting for. Shaquille O’Neal was introduced onto the stage! He started out talking about how he likes to say he is in the fun business. When you laugh, it releases endorphins and relieves stress. Shaq only supports businesses he believes in. He quoted Jeff Bezos, who said that if you invest in things that change people’s lives, it’s a win/win. When he moved into a new home, he was looking into getting a security system with video and was alarmed at the cost. That is how he discovered Ring. He was able to add several video cameras to his home for a fraction of the cost. He met with the founder and said he wanted to get involved. Most recently, Shaq got involved with Papa John’s Pizza and is on their board of directors. When he was first approached about Papa John’s, he told them that he wanted to see diversity in the leadership. He wants the message to be that everyone is welcome at Papa John’s. These days, you can also find Shaq in the music business. He was missing the feeling of a game 7 crowd. After attending a music festival he realized that he can get that feeling from a music crowd so he began DJing as DJ Diesel. He’ll even be performing at tonight’s Glofest! Don’t forget to stop by booth #1180 to meet the Techfino team! Also, stay tuned for upcoming blogs from the team on the key sessions they attended at SuiteWorld.